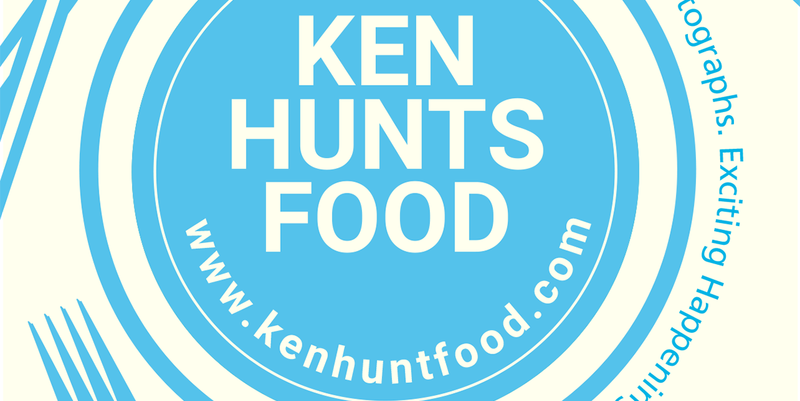 24-Hour Food Guide- Ken's Version. 1) Sarkies @ E&O Hotel, Penang. - For the wide variety of dishes offered. 2) Wine & Dine Buffet Dinner @ E&O Hotel Penang- For the free flow of Wines/ Beers. 3) Ramadhan Buffet Dinner @ Eastin Hotel Penang. - Really impressive buffet spread. 4) Seaside Barbecue Buffet @ Shangri-La's Resort and Spa - Fresh and well-cooked Seafood. 1) Zi Zai Restaurant @ Paya Terubong, Penang. - Cheap and good food. 2) Law Chang Kee @ Nibong Tebal, Penang. - Crab Porridge and Blanched Octopus. 3) Dragon Phoenix Seafood @ Farlim, Penang. - Fast service and decent food quality. 1) Sweet-I Dessert House @ Lip Sin, Penang. - Local Desserts. 2) Joez Coconut Jelly @ Dato Keramat Road, Penang. - ONLY for its Coconut Jelly. 3) Miam Miam Cafe @ Gurney Paragon Mall, Penang. - ONLY for its French Toasts. 1) Chaw Choon Dim Sum @ Raja Uda, Penang. 2) Maxim Dim Sum @ Komtar Walk, Penang. 3) Grand Imperial Restaurant @ The TOP, Komtar, Penang. 1) Farquhar Mansion @ Mission Place, Lebuh Farquhar, Penang. 1) Khoon Pastry House @ Argyll Road, Georgetown, Penang. 2) Via Pre @ Weld Quay, Penang. 3) Yin's Sourdough Pizza @ Wisma Yeap Chor Ee, Penang. 1) Edo Ichi Japanese Restaurant @ Island Plaza, Penang. 2) Iso Gin @ Vantage Desiran Tanjung. 3) J Garden @ Bayan Bay, Penang. 4) Kaze Japanese Restaurant @ Icon City, Penang. 5) Tummy Bowl @ Elit Avenue, Penang. 6) Ippudo Ramen @ Gurney Plaza, Penang. 1) K-Pot Korean BBQ Garden @ Tanjung Bungah, Penang. 2) Jinggo Dak Galbi @ Elit Avenue, Penang. 3) Sae Ma Eul Korean BBQ @ Automall, Penang. 5) Han Sik Ga @ Gurney Plaza, Penang. 6) Hanmalu @ Vantage Desiran Tanjung, Penang. 1) Hot Bowl @ Abu Siti Lane, Penang. - Curry Mee. 2) Sulaiman's Chapati @ Taman Tun Sardon, Penang. - Chapati. 3) Ah Wang Toast @ Tanjung Bungah, Penang. - Kaya Butter Toast. 4) 888 Hokkien Mee @ Bayan Baru, Penang. - Hokkien Mee. 5) Lok-Lok @ Padang Brown Hawker Center, Penang. - Lok-Lok. 6) BW Tom Yam Noodles @ Air Itam, Penang. - Tom Yam Noodles. 7) Lok-Lok Rojak @ Air Itam, Penang. -Rojak. 8) Beef Koay Teow Soup @ Batu Lanchang, Penang. - Beef Koay Teow. 9) Million Loh Mee @ Farlim, Penang. - Loh Mee. 10) Hong Kong Egg Noodles @ Jalan Aziz Ibrahim, Penang - Wan Ton Mee. 11) Pitt Street Koay Teow Th'ng (椰脚粿条汤) @ Carnavon Street, Georgetown, Penang.- Koay Teow Th'ng. 12) Mee Goreng @ Pulau Tikus, Penang. - Mee Goreng with Wok Hei. 13) Mimi's Coffee House @ Macalister Road, Penang. - Nasi Ulam and Assam Pedas. 14) Hou Mei Yuan Pan Mee @ Taman Bukit Jambul, Penang. - Pan Mee. 15) Assam Laksa/ Siamese Laksa @ Balik Pulau, Penang. - Assam Laksa and Siamese Laksa. 16) Penang Cendol @ Macalister Lane, Penang. - Cheap and Good Penang Cendol. 17) Penang Char Koay Teow @ Carnavon Street, Penang. - Check out the gigantic Prawns. 18) Ah Leong Assam Laksa @ Raja Uda, Butterworth, Penang. - Spicy and Sour Assam Laksa with Prawn Crackers. 19) Tai Wah Wanton Mee @ Argyll Road, Penang. - Old School Wanton Mee. 20) Laksalicious @ Hutton Lane, Penang. - Spectacular Assam Laksa. 21) Nasi 7 Benua @ Koo Boo Cafe, Sungai Ara, Penang. - Aplenty choices for Curries. 22) Famous Fish Head Curry @ Juru, Penang. - Seafood Curry Treasure in a pot. 24) Kim Leng Loh Mee @ Jelutong, Penang. - Famous Loh Mee at Jelutong area. 25) Sai Toh Lim Koay Teow Th'ng @ Butterworth, Penang. - Koay Teow Th'ng at Raja Uda. 1) Grumpiez Green Pepper @ Hillside, Tanjung Bungah, Penang. 1) Ivy's Nyonya Kitchen @ Chow Thye Road, Penang. 2) Moh Teng Pheow @ Jalan Masjid, Penang. 3) Aunty Anne True Penang Cuisine @ Macalister Lane, Penang. 1) El Faro Tapas Bar & Wine @ Burmah Road, Penang. 1) Eam Huat Charcoal Steamboat @ Batu Lanchang, Penang. - Charcoal Steamboat. 2) Sawara Steamboat @ Pulau Tikus, Penang. 1) Hong La Jiao Steamboat @ Burmah Road, Penang. 2) Red Courtyard @ King Street, Penang. 1) 600CC Taiwanese Restaurant @ Tesco E Gate, Penang. - ONLY for its Beef Noodles. 1) Khunthai @ Teluk Kumbar, Penang. 2) Little Thai @ Midlands Park, Penang. 1) No Eyed Deer @ Prima Tanjung, Penang. - Caveman's Platter/ Mixed Grill. 2) Georgetown Wines @ Leith Street, Penang. 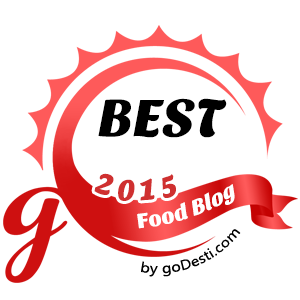 - The best Prime Rib and Churros in Penang. 3) What The Duck Restaurant @ Nagore Road, Penang. - Try their Duck Confit and Sizzling Brownie with Salted Egg Ice Cream. 4) Naughty Nuri's Warung @ Burmah Road, Penang.- Unique but delicate Pork Ribs. 5) EU Cuisine @ Rangoon Road, Penang. 7) Gen @ Georgetown, Penang. 1) Back Home @ Island Glades, Penang. 2) Real Food @ Straits Quay, Penang. 3) Awakenings Coffee & Tea House @ Ideal 1 Square, Bayan Lepas, Penang. 4) Wholey Wonder @ Gurdwara, Georgetown, Penang. 5) Mama Kim @ Tanjung Bungah, Penang. 1) Quê Hương Tôi Vietnamese Cafe (正宗越南小食馆) @ Jalan Jelutong, Georgetown, Penang. 2) Hương Quế Vietnamese Food @ Lebuh Melaka, Georgetown, Penang. 3) Little Hanoi Vietnamese Cuisine @ Jelutong, Penang. 4) Viet Food Vietnamese Restaurant @ Taman Kheng Tian, Jelutong, Penang. 5) An Viet @ Gurney Plaza, Penang. We happen to meet a great people there and started to chat with them and drink w/them too. I had a great time here, glad we found this place by accident. Will definitely come to this LA venue again as anyone will make this a regular spot easily.